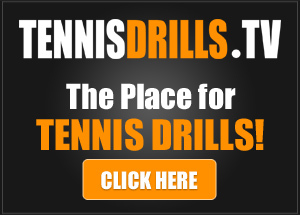 Understanding the proper grip tension to use in tennis. View your videos. Everyones swing speed appears to be associated with their grip strenght. Harder their holding, harder their swinging. This is a very informative video about a seldom but important topic. I do have a question. Can you derive any tactical or strategic advantage if you notice that your opponent has an excessively tight grip. In other words, is there anything I can do to take advantage of an opponent who has a tight grip? I look forward to your insight on this. Thank you. Hi Sam, The only thing I can think of is the longer the match goes the more tight and sore the opponents arm might become. Other than that, I do not see any other ways to take advantage of it. Boy what perfect timing! Playing earlier today I attempted to loosen my grip, lead with the wrist with a good follow through. What a difference it was making, fluid as you say with good height over the net and deep in the court. Even on picking up the ball on a short hop it worked so well it surprised me. 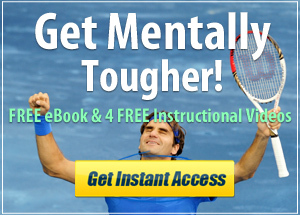 Great instructional videos, thanks Jorge. As always, great instruction. This confirms what I teach my students regarding grip tension. Thanks!!! I have found over many years of coaching that players learning the game, often grip too tight because they are concentrating on the aspects of technique I am working with them. They loosen up as they gain proficiency. Your approach to grip tension with 5 degrees of tension is a very useful tool for our toolkit.I will be sharing this video with some of my players who will benefit. Thank you- I look forward to meeting you one day. All the best, Gordon. Thanks Gordon and good luck with your students. Another great video, and guess what? I have “golfer’s” elbow, which I attribute to too firm (death grip) a grip. I am going through the process of healing, and will certainly be more conscious of lightening up, if and when I am ready to return to playing tennis. Thanks again for all you do! Thanks. I am a “gripper” and will definitely try lossening up next time I play. It made sense to me. Thank you, has been very helpful every video, either to improve or to confirm a good or bad technique, etc. This video especially helped me to understand several mistakes I was making. thank you for your grip tension video. I discovered that I am holding my tennis racket way to hard. I will put your lesson to practice. This video was helpful to me. Thank you.